Add classic tube tone to your 500 series rack with the Radial PowerTube. This preamp features Class A design with a low-noise 12AX7 tube and a Jensen transformer. This combination delivers awesome detail and warmth to your recordings. 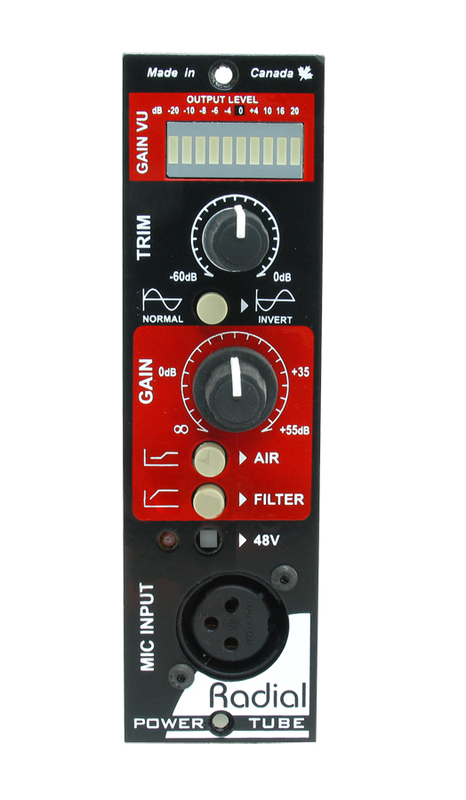 A 3-position Vox control adds air to your instruments and bottom end to vocals. You can also bypass the Vox control for a pure, unaffected signal. Reduce pesky background noise by controlling gain and sensitivity with the VaryState input stage. When you want real tube tone, don't try to fake it. Get the Radial PowerTube preamp and feel that warm tube glow. Tubes bring an undeniable warmth to any recording. The Radial PowerTube uses a 12AX7 to bring your recording real-tube goodness. A Jensen transformer adds killer detail and warmth to any input signal. Don't live with sterile, uninspiring tone. Call Sweetwater and add the PowerTube preamp to your 500 series rack today! 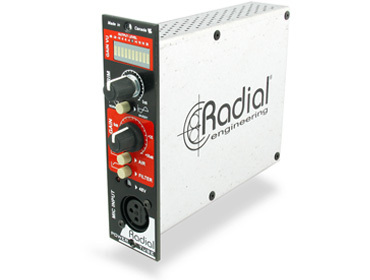 The PowerTube offers the same professional-quality Class A, fully-discrete transformer circuitry as found in many of Radial's award-winning preamps. It sounds amazing - the way you'd expect Radial gear to sound. Use the PowerTube in front of your favorite condenser mic for big, fat tube tone. The Radial PowerTube fits any standard 500 Series rack unit. Now you can pair this all-tube microphone preamplifier with a wide assortment of killer audio components, and get exactly the sound you want from your signal chain. Add tube preamp tone to your 500 series rack with the Radial PowerTube.